SuperC Touch welcomes any IC design firm with the interests of off-chip sensing technology to join and become our business partner. 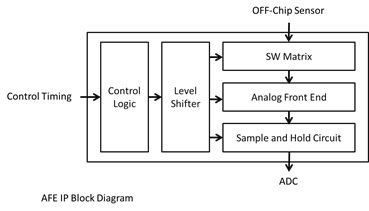 With a combination of SuperC Touch’s sensing IP and IC design firm’s capability of commercial IC design, the joint development of off-chip sensing IC will create a win-win situation for both parties. In order to be able to design a superior performance off-chip sensor fingerprint IC, you need to leverage SuperC Touch’s sensing IP. Licensing of SuperC Touch’s off-chip capacitive sensing technology is now available. We welcome any IC maker with the interests in our technology for further collaboration and join the off-chip campaign. SuperC Touch’s fingerprint sensor design can significantly enhance the sensing sensitivity. Licensing of SuperC Touch’s off-chip capacitive sensor patents and trade secret is now available. We welcome any display and module makers with the interests in our technology for further collaboration and join the off-chip campaign. SuperC Touch’s in-cell touch technology is centered on metal mesh. The number of relevant patents is over 120. SuperC Touch will provide our clients with total solution of in-cell touch by the sale of patents and technology service. SuperC Touch’s in-cell technology is applicable in large-scale screen, and new generation displays including LTPS, aSi, narrow border or borderless displays, and flexible displays (AMOLED). SuperC Touch accepts (but not limited to) Non-recurring engineering (NRE) or Joint Development (JD) to provide technology service, helping our clients to verify the in-cell technology on their product.